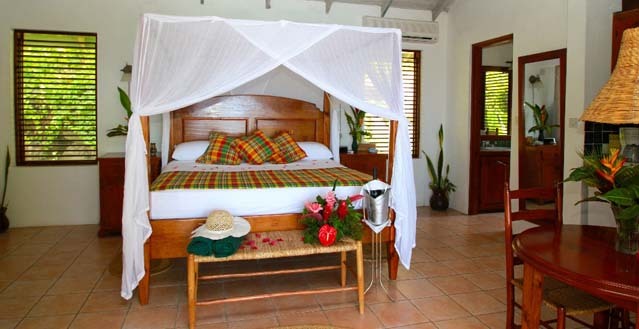 The villas at Stonefield Estate Villa Resort are beautiful, airy and bright, accented with allusions to French colonial style including wide open verandas, attractive jalousie shutters and antique four posters beds. 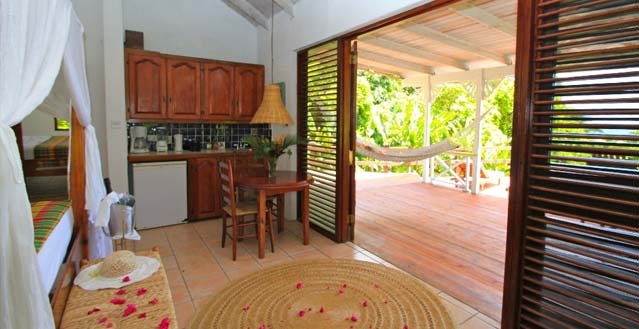 Each villa is self-contained and commands vistas of the awe-inspiring Petit Piton. 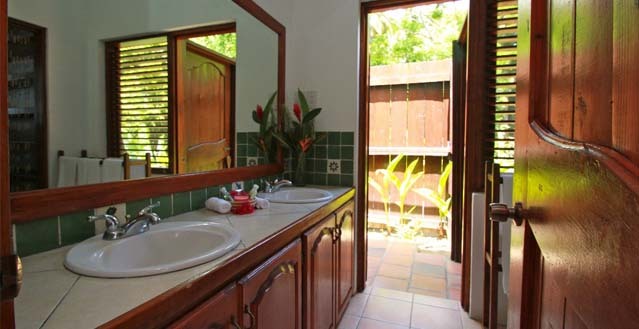 Our secluded plunge pools and private garden showers bring the lush tropical world and the secure retreat of the villas into harmony. 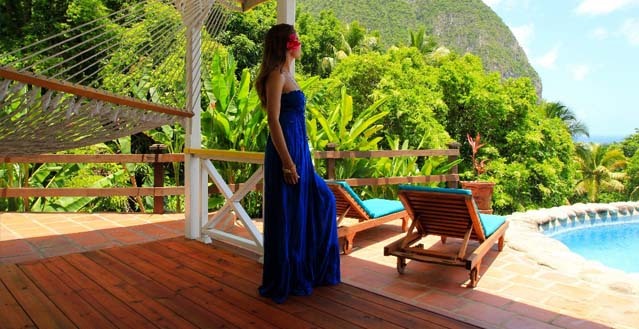 Set amid the lush foliage of a former lime and cocoa plantation and nestled at the base of the awe-inspiring Pitons, Stonefield Estate Villa Resort is the island’s premiere luxury boutique resort. 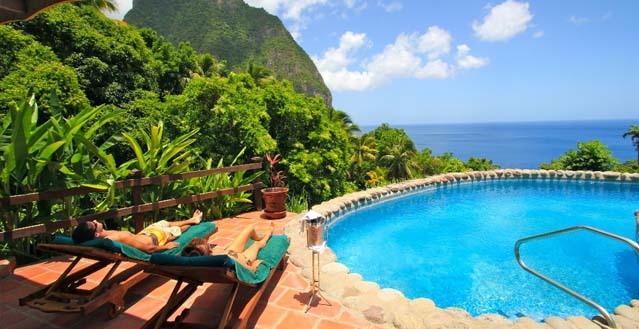 The estate, embraced by the boundaries of the UNESCO World Heritage Site sprawls over 26 acres, and commands views of Petit Piton, one of two volcanic cones that rise dramatically from the Caribbean Sea and define the St Lucian landscape. 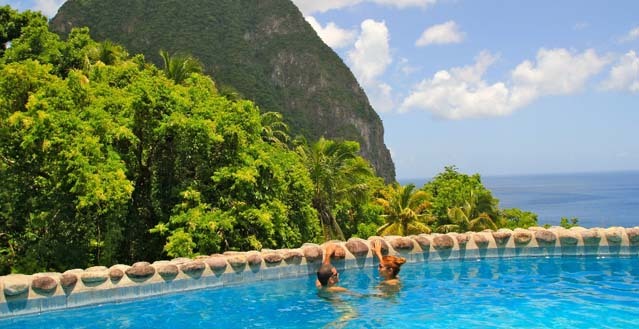 St Lucia, dubbed ‘Helen of the West Indies’ because of the 100-year possession dispute between the British and French, is a verdant tropical island nation situated mid-way up the Caribbean archipelago. 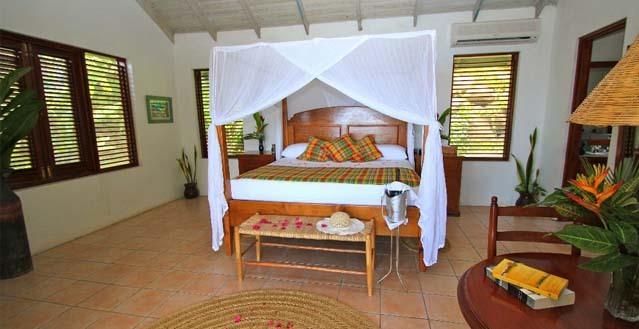 Stonefield Estate Villa Resort is located in the town of Soufriere, a picturesque colonial town, once the capital of St Lucia, and now the centre of a district known as the breadbasket of the island. 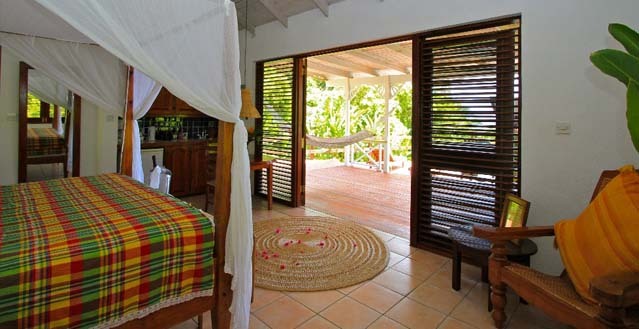 At once secluded and infinitely accessible, Stonefield Estate Villa Resort is minutes away by shuttle bus from the colonial town and even closer to Malgretoute and Jalousie beaches, two sand and pebble shores with crystalline waters unequalled elsewhere on the Caribbean coast. 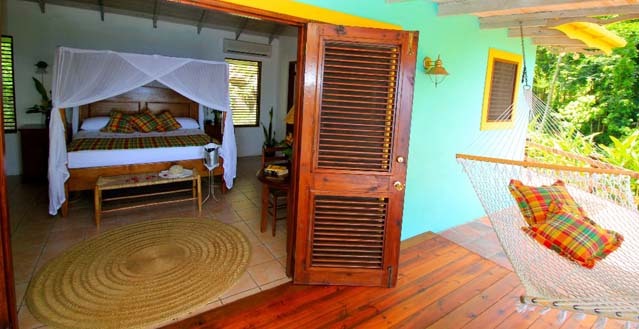 The vicinity offers up a host of activities from hiking and diving, to sightseeing tours of the world renowned sulphur springs and baths in the warm Louis IX endorsed therapeutic baths. By boat, the capital of Castries and the entertainment district of Rodney Bay are easily accessible. GFL Charles Airport (SLU), US$90 for 1-3 persons and US$20 for each additional person, one way. Hewanorra Airport (UVF), US$70 for 1-3 persons and US$15 for each additional person, one way.